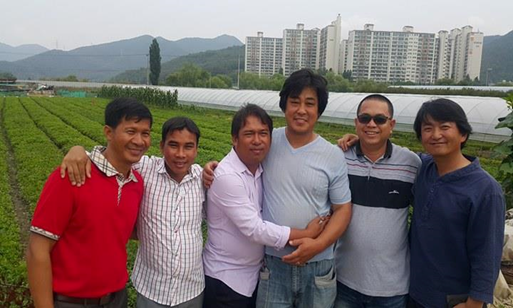 Mr Yun Sophat, Mr Dok Virak, Mr Nob Nun and Mr Phoun Sophal, who were the participants of the 2016 International Farmers’ Dialogue in Battambang, were invited by Initiatives of Change Korea, to attend the Farmers’ Gathering on Yokji island, followed by visiting farms, in other parts of Korea from 23 to 29 June 2017. The gathering started in the evening of 23 June, 2017 with 32 participants with the aim of sharing experiences, knowledge and information about farming, and having fun together. The participants were asked to do self-introduction. Then Mr Lee Dong-yeol, the coordinator, invited all the participants to share what farming they have been doing. There were farmers who grow sweet potatoes, tomatoes, cabbages, persimmons and plums, mushrooms and a farmer who raises cows as well as two young men who run Kimchi factory. After the sharing, Mr Kim You-cheol, who is a poet and the oldest participant, gave a lecture about 'Life and Farming'. He said things on earth were connected and we were connected to everything, not just to money. Think of other people and do the farming for the health of people. The programme also gave participants the opportunity to have fun. 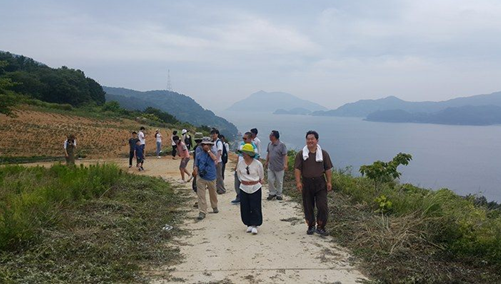 The second day started with hiking around the island to see sweet potato farms and to explore the beauty of Yokji island. In the afternoon, participants went fishing in the sea and cooking for dinner with fish we caught. 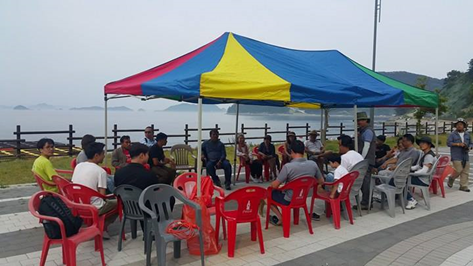 The participants were given a chance to go sightseeing around Yokji island before saying goodbye to each other on the third day morning. After the farmers’ gathering Cambodian participants were taken to see many different farms in various places. We visited farms planting herb, potato, rice and mushroom, and raising cows. 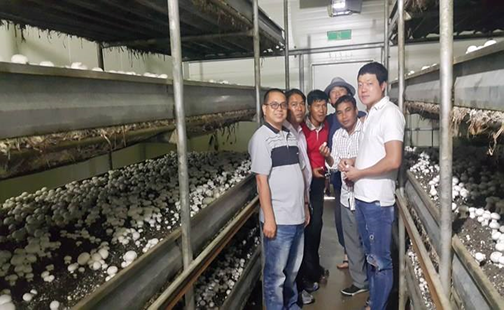 We saw farms using chemical fertilizer, semi-chemical fertilizer and organic fertilizer. We learned that the Korean farmers have a lot of farming experiences and have used advanced technologies. They have also got subsidies from the government in terms of fertilizer and finance. They use a combined farming industry of primary, secondary and tertiary, which connects all three farming industries of production, processing, distribution, sale and farm tour/experience. They plant and they sell to the local shop and/or to the auction markets. They process and refine the remaining for the final products. They usually put the label on their products, stating the farmer’s name and even their phone number. The Rural Development Administration of Korea has been doing much agricultural research. They have had 20-year future vision of agriculture. Nob Nun, who is an organic farmer, said that he had learned a lot from this trip and was thinking what he would be able to apply when he came back home. He learned how to market and how to build a brand name as well as how to deal with the remaining farming products. 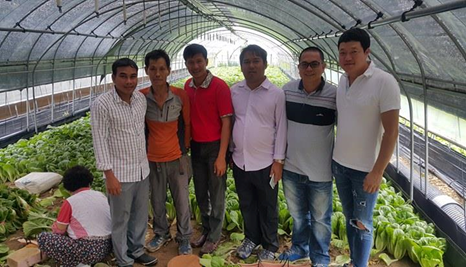 Phoun Sophal, who is running SR Rice Project – organic rice farming, and working closely with farmers in the community of Pursat Province, stated that he will share what he experienced in Korea with the farmers. He will still keep encouraging them to do organic rice farming. 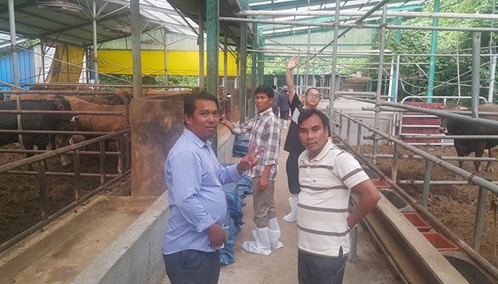 Yun Sophat was very much interested in dairy farming and he’d like to adopt it in Cambodia. 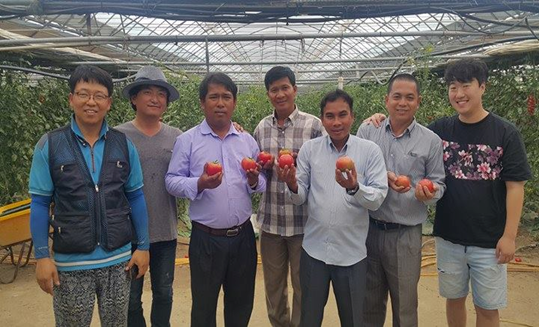 He has a plan to invite some Korean farmers to come to Cambodia to give more ideas of farming business. He will also support Mr Nob Nun‘s vegetable farms and Mr Phoun Sophal’s organic rice farms. We sincerely thank Initiatives of Change Korea, Initiatives of Change Association, Farmers’ Dialogue International, Huy Yun Agriculture Co, Ltd, Battambang Prefecture of Catholic Church, and Korean farmers for their supports to make this meaningful event happen. We are really very grateful to Mr Jeong Yeon-yuk and Mr Lee Dong-yeol for their coordination and hospitality.